What Can You Do When Your Aging Adult Won't Talk to Her Doctor about Dementia? - All Care Hawaii. LLC. It’s always frustrating when your aging adult has a health issue that she won’t address. It’s even more upsetting when that issue could be something as serious as dementia. But what can you do when your elderly family member won’t talk to her doctor about dementia and what she could do about it? Wait until the situation is calmer again and reopen the talk with your aging family member. Let her know that you’re concerned and that you want to get her the right help. It’s about making sure that she’s okay and that means everything from treatment methods to finding senior care providers who have experience helping aging adults with dementia if necessary. You can certainly talk to your aging family member’s doctor on your own. Let her doctor know what you’re seeing that is creating concern for you and ask what else you can do to get your aging adult to open up. Her doctor may have some advice that you can use, especially if he’s been her doctor for a while now. In a pinch, you might need to convince your elderly family member to visit her doctor under different pretenses. Let her know she’s going in for a checkup, which isn’t completely a fib. When you get there, open up a dialogue about what is concerning you about your aging family member’s health. Being in her doctor’s office might inspire her to be more forthcoming. Above all, try to remember to be patient with your elderly family member during this process. 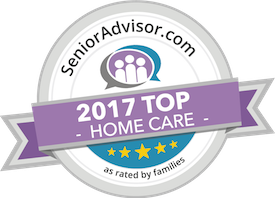 That’s not always easy, of course, but your patience will go a lot further in helping your elderly family member to understand that no one is trying to cause trouble for her. You might even have to table this conversation for a little while and give your aging adult time to come around. Take your time, to be sure your parent does not get frustrated. Chances are that your elderly family member isn’t trying to make your life difficult. She’s just concerned about what this means for her future. Have questions about home health care in Kailua, HI? Contact the caring staff at All Care Hawaii today. Call us 24 hours a day, 7 days a week!